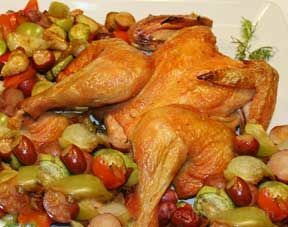 With minimal preparation, you can have a savory dinner of oven roasted chicken and vegetables. 1. 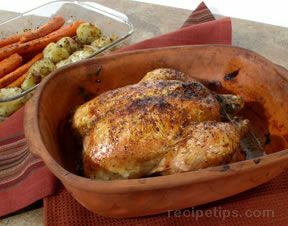 Preheat oven to 350° F. Place chicken in shallow roasting pan. Brush with 1 tablespoon of the oil. 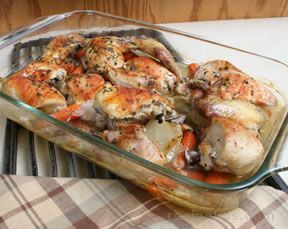 Sprinkle 1 tablespoon of the Seasoning all over chicken.